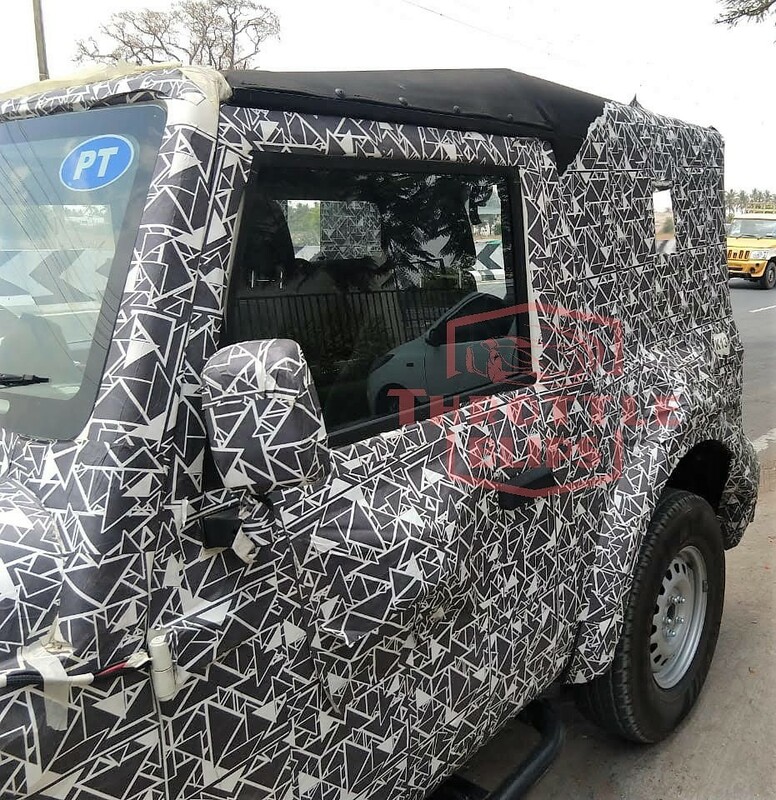 Next-Gen Mahindra Thar has been spotted in these new spy shots, showing clear additions that were missing from all the images seen till date. The car comes with a complete set of front panels, covering the tires perfectly and showing the increase in width by a considerable margin. The 7-slat grill is available on the new model while bumper and bonnet combination now seems to be more pedestrian-friendly than before. 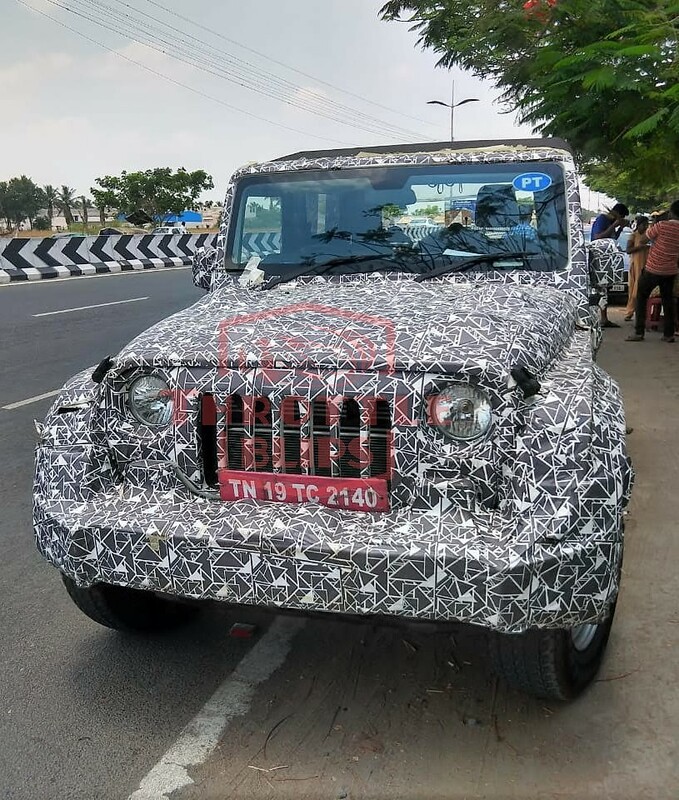 The flat windscreen has a thin bezel-like surrounding while the model spotted here comes with soft top configuration with black roof finish. The tires look bigger than those seen on the current generation car. 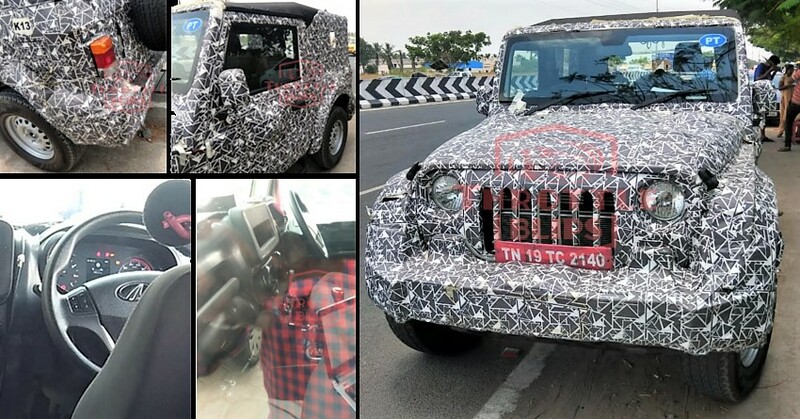 Next-Gen Mahindra Thar has been spotted with a completely camouflaged body with a little hint for the rear glass section and well-defined front row glass with manually foldable rear view mirrors. 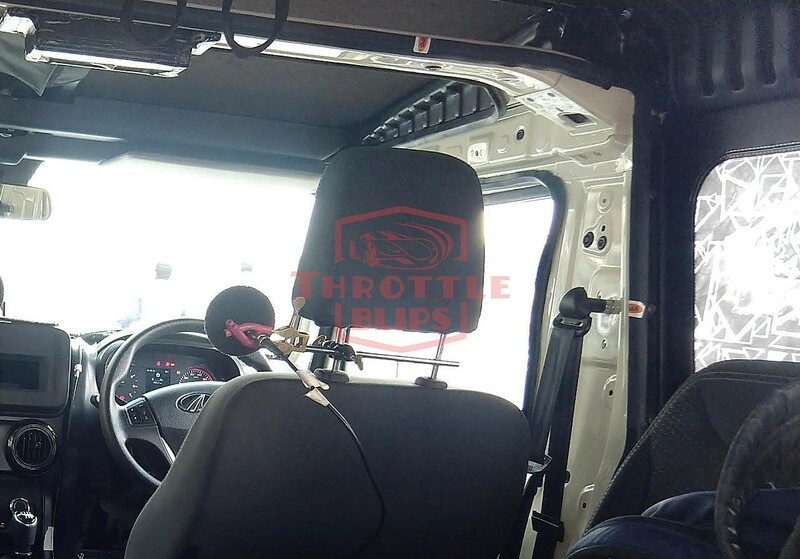 The interior of the new Thar has leaked for the first time, still missing the panels as well as visual-enhancement parts and showing the use of chrome on the air conditioner vents and gear knob. The car-like dashboard now comes with space for an infotainment system, defined design lines, and new steering wheel. 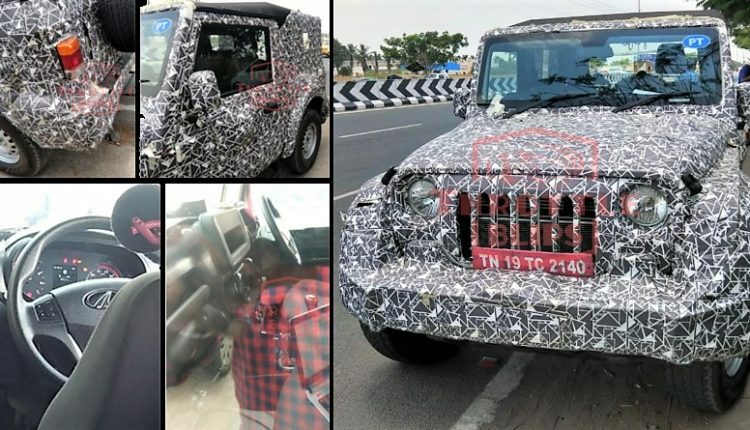 The instrument console seen on the Next-Gen Mahindra Thar is a modern unit with MID in the middle of two analogue dials. 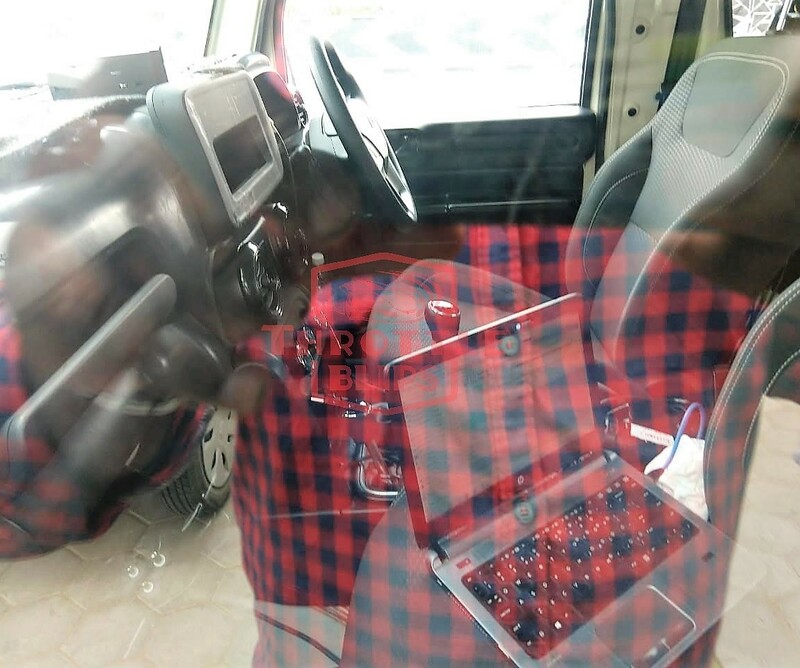 The steering wheel comes with switches that could help the driver connect to various additional features that doesn’t exist on the present-gen model. The improvement in the quality of parts on the inside is clearly visible for the highlighted dashboard components. 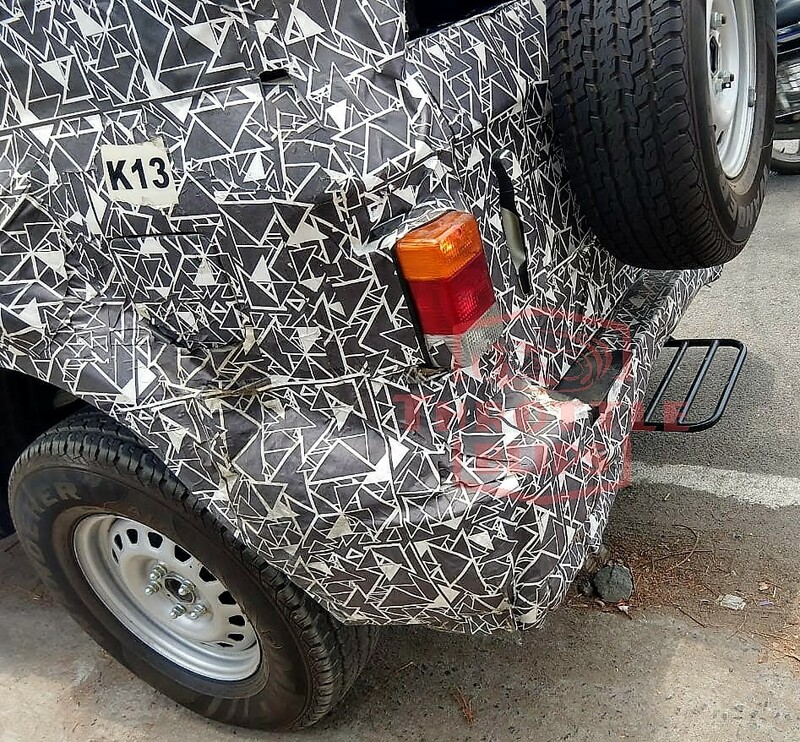 As the launch period of the new car falls around early 2020, the diesel engine used here would be BS6-ready and most probably the same unit as Mahindra Marazzo. The die-hard adventure machine will feature advanced 4×4 system and capabilities far beyond the need of an everyday commuter with just city-specific driving.